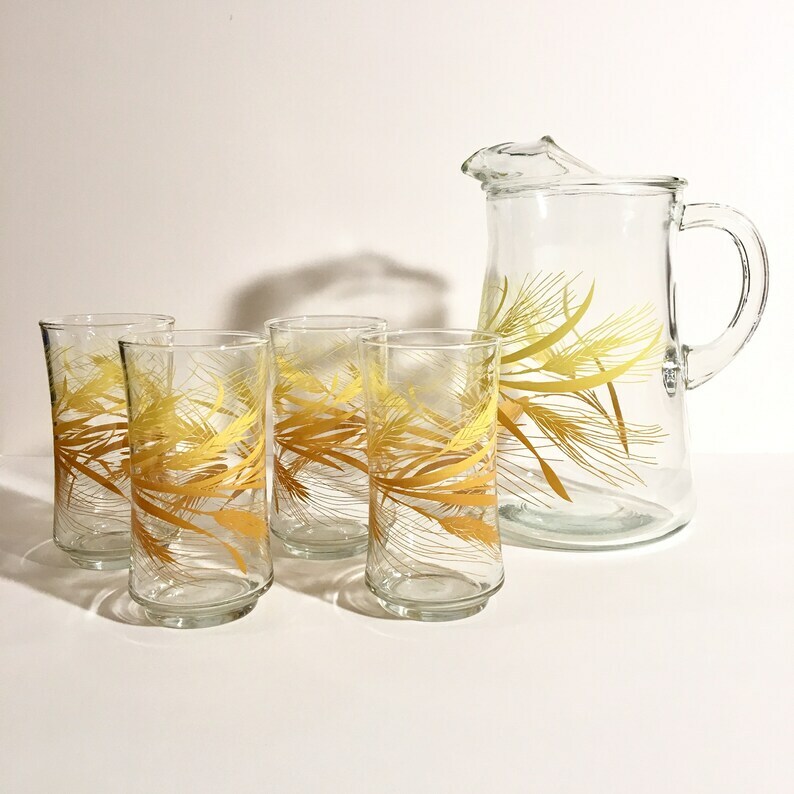 Vintage pitcher with brown, orange and yellow wheat pattern print with 4 matching glasses. Manufactured by Libby. Pitcher holds 48 oz and measures approximately 8 1/2" tall. 8 oz. glasses are 5 1/4" tall and 2 5/8" in diameter.